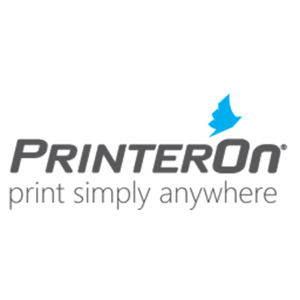 PrinterOn is secure cloud printing for mobile and desktop – in any cloud. PrinterOn is the premier cloud printing solution that enables users to securely print from any smartphone, tablet, laptop or desktop, to any printer, no matter the networks in between. In short, with PrinterOn you can “Print Simply Anywhere®”. Every PrinterOn print job is secure. With PrinterOn secure release, print waste is drastically reduced – unreleased print jobs never get printed. That saves paper and consumables. Today PrinterOn has the broadest and deepest secure print offering available for cloud or on premise deployment.